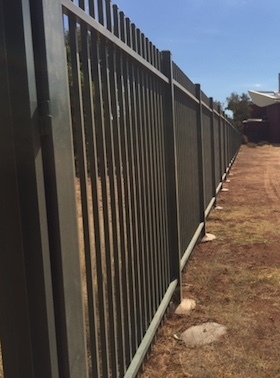 A spokesman for CDU says the increased security measures, which include a two metre high steel fence and CCTV, cost more than a quarter of a million dollars and were made necessary by ongoing vandalism including broken windows, graffiti and hooning in cars. This follows the pattern of shutting the public out of school grounds around the town over the past few years, for much the same reasons. A popular shortcut through the grounds is now no longer. Public vehicular access to the sporting facilities – CDU oval, cricket nets – next to Stott Terrace is now through CDU’s main entrance on Grevillea Drive, says the spokesman. Parking is no longer available the western side of the grounds but is available between CDU’s higher education building and the Centralian Senior College’s basketball courts. Access to the CDU oval from Gate 2 on Grevillia Drive is now limited to emergency services and maintenance vehicles, as a consequence of the new campus perimeter fence. Both gates, which have yet to be fitted, will be locked after hours. The CDU Oval is managed by the Alice Springs Town Council who has advised sporting bodies of these changes, says the spokesman. 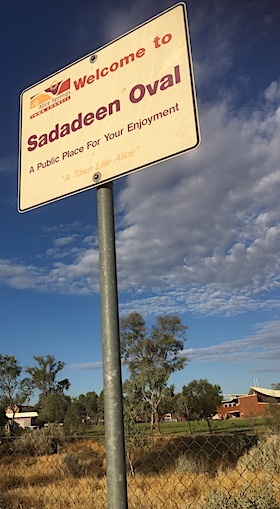 “Raising children, providing safe spaces and being part of the community is what we’re about,” Said Humpybong State School in Queensland. See link to attached articule. If it’s not being done now, would this work at CDU or in other Alice Springs schools? The actions of a few affect the majority. Let’s not fix the problem and penalize the trouble makers better, no lets hurt the community and families who enjoyed the oval. In a society that promotes kids being active and getting out and playing this is going backwards and making the town into a mini jail! Just stay inside kids, everywhere else is fenced off. Just look down any suburban street at the fences, six foot go away fences. Gone are the welcoming and nice looking knee high fences we all had. This is indeed sad to happen, but it is appearing everywhere, every bit of nice grassed area we have is being abused. You only have to look at the demise of the Memorial Cemetery from a small grassed area around near the ablution block to nothing but fenced off toilets, no grass and prickles and weeds. A disgrace to a place where the old pioneers who helped to build this town are laid to rest.